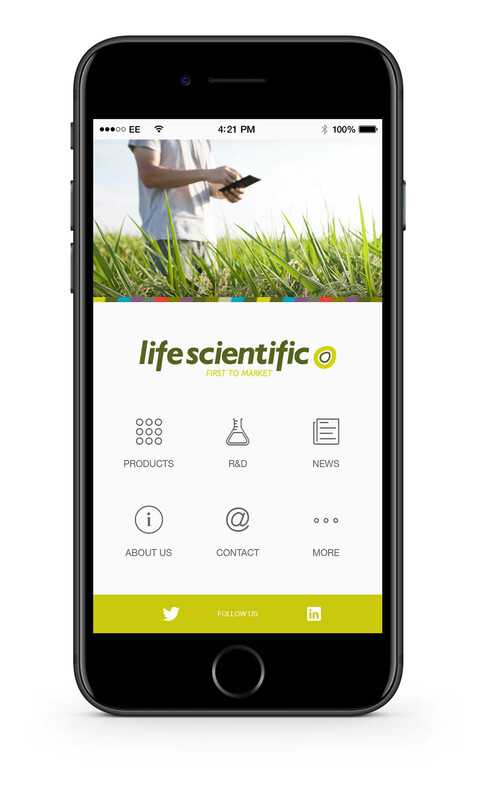 A new app for apple and android mobile phones and tablets launched by Life Scientific provides users with the latest product information and news. The app which has just been launched by the premium off-patent crop protection company, allows users an additional means to access technical product information across Life Scientific’s range of herbicides, fungicides and insecticides. Recognising that phone coverage is not at full capacity in many areas, once the app is downloaded it is possible to pre-load it with content such as product labels and safety data, which means it can be used in areas of poor phone reception, says Bill Lankford, UK country manager. For example, last autumn Life Scientific launched the first commercially available, off-patent mesosulfuron and iodosulfuron herbicides Niantic and Cintac, and for agronomists and growers using these products for the first time this spring, it will be possible to access all the information on product labels, tank mixes and safety data on the app. Mr Lankford points out that for anyone who wants to familiarise themselves with the company’s unique approach in bringing off-patent products to market faster than has ever been previously possible, the app offers a brief insight into this process introduced by CEO Nicola Mitchell.